Researchers are developing a touchscreen that dogs can use to make calls or send texts. 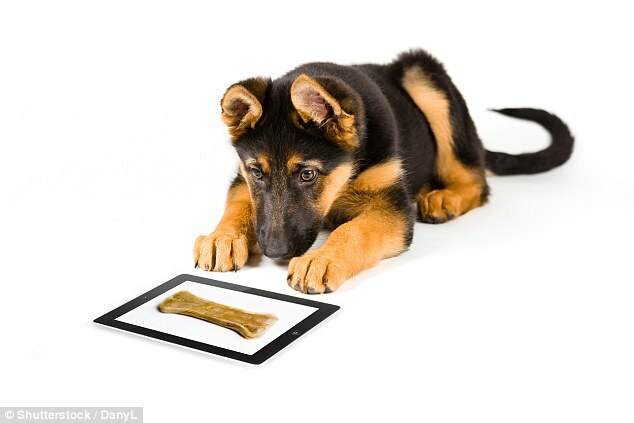 The researchers, who have already developed a vest that lets dogs deliver messages, and send their GPS co-ordinates, developed the touchscreen to train dogs to activate a device if their owner falls or if they hear them ask for help. The technology could help save lives, particularly those the elderly who are at higher risk of falling. The technology was developed by a team of researchers for FIDO project at the Georgia Institute of Technology. She said that service dogs as well as regular companion pets could be use the touchscreen technology. Dr Jackson and her team said that they realized that both service dogs and working dogs have information that they need to impart to their handlers. 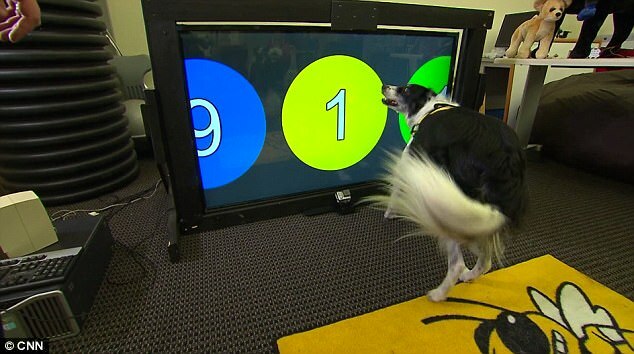 Dr Melody Jackson, director of the animal-computer interaction lab at Georgia Tech, and her colleagues have trained her border collie Sky, as well as other dogs, to approach a large TV-sized touchscreen and use their nose to dial 911 when they hear the word ‘help’. After the dog uses its nose to push the buttons, a computer connected to the touchscreen can be programmed to call anyone, for example a family member, doctor or 911. According to Clint Zeagler, a researcher at Georgia Tech, the buttons are colored in blue and yellow because dogs are red-green colorblind. He says that here are only three buttons on the screen to reduce the chance of accidental calls being made if the dog hits the screen accidentally. For example, medical alert dogs may need to alert 911 if their owner falls, or a military dog may need to alert their handler as to what kind of explosive they’ve found. Dr Jackson, who is also a dog trainer, and her colleagues have trained her border collie Sky, as well as other dogs, to approach a large TV-sized touchscreen and use their nose to dial 911 when they hear the word ‘help’. He says that there are only three buttons on the screen to reduce the chance of accidental calls being made if the dog hits the screen accidentally. The researchers are testing what size the buttons should be, what colors they should be and what hardware should be used for the dogs to optimize the technology. The researchers also developed a wearable vest for dogs that lets dogs deliver messages and even send their GPS co-ordinates. 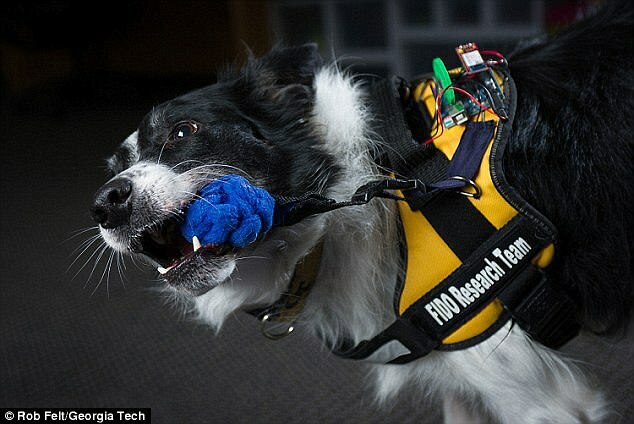 The sensors on the vest either have a chew toy for the dog to bite on for a command, or a rope to tug for another command. These actions activate sensors which send signals to a computer in the vest which can make a phone call, send a text or play an audio message. An audio message could for example let someone know that the dog has already called for help or that it needs more assistance for its owner. For example, some seizure alert dogs can sense the onset of seizures, and they’re trained to push their owners against a wall to lessen their fall, and lick their face during the seizure. The FIDO project team say that they hope these technologies can be commercially available for service animals soon, but the technologies are still at the prototype stage. But with the vest, a seizure alert dog could also tug a sensor on their vest to call 911. ‘We want to be able to let these dogs communicate with humans very specifically and very clearly so that even a person who isn’t a dog trainer will understand what’s going on,’ said Dr Jackson. Over a period of 50 years, Buckminster Fuller explained his plan for making a better world. He talked about the coming wave of automation that would throw gigantic numbers of people out of work. He talked about the need for a universal system of support, whereby everyone on the planet would be guaranteed, from birth, the essentials of survival: food, clothing, shelter, and limitless free education. Obviously, Fuller’s plan carries great appeal for many young people, for whom the idea of earning a living is a full-bore horror movie. Fuller also believed that freeing up the young to “think about new solutions” for humanity and come up with new technology would justify his plan. By direct statement and implication, Zuckerberg is echoing Bucky Fuller. The threat of automation. Massive unemployment. Guarantee the means of survival for every person. Free education for life. Come up with new ideas that contribute to the progress of the human species. The most incompetent, bloated, corrupt, conniving force on the planet is in charge. Doesn’t that fill you with confidence? There is more. Who, behind the scenes, influences and controls government decisions and policies? A few groups come to mind: Bilderberg; Council on Foreign Relations; Trilateral Commission; United Nations. Fill in others yourself. These are people we can trust? And then there is this: what is the overall effect of gifting everyone on the planet with the basics of survival? On balance, does it produce visionaries and determined entrepreneurs? Or does it produce massive numbers of Welfare dependents, who drift in a sluggish space and want, at most, periodic stimulations of adrenaline to relieve their interminable boredom? Do they seek out endless free education, or do they ingest various drugs and sit glued to screens—and occasionally take to the streets to demand MORE? Are fervent Globalist, Leftist, technocratic academics prepared to offer an honest assessment of the effects of a few billion people living on universal Welfare? It’s quite convenient that “utopian” thinkers like Bucky Fuller and Mark Zuckerberg avoid these questions. This is the reality behind the utopia. As usual, the devil is in the details. It’s easy to envision whole generations of empowered visionaries finding new solutions for the planet. But on even a cursory examination, the whole plan sinks into a morass of grotesque consequences. If you’re up for it, try researching this question: How many government programs, and how much funding, is devoted, in all countries of the world, to authentically stimulating the freedom and power and creativity and independence of The Individual? A related question: How many college courses around the world teach The Freedom and Power and Creativity and Independence of The Individual? Answering these questions will give you some idea of governments’ “genuine caring” for individual innovation. Zuckerberg is Bucky Fuller 2.0. Unlike Fuller, he has billions in the bank. He has allies in the Deep State. He has the means to push the Fuller agenda. The gift sounds appealing. It looks appealing. Roughly 3200 years ago, after Greek forces failed to penetrate the gated city of Troy during a decade of war, they abandoned the field in apparent defeat. They left behind a giant wooden horse. The Trojans took the beautiful and appealing statue as a trophy and brought it into the city. At night, under cover, a door opened in the horse, Greek soldiers slipped out, opened the gates of Troy, and the rest of the Greek force, which hadn’t really retreated, flooded in. The gift that wasn’t a gift. The gates of a city; the gates of a mind. A deputy sheriff said he saw he saw a crashed flying saucer and aliens who ‘looked like the ones we see on television’ at Roswell, a newly-released interview reveals. 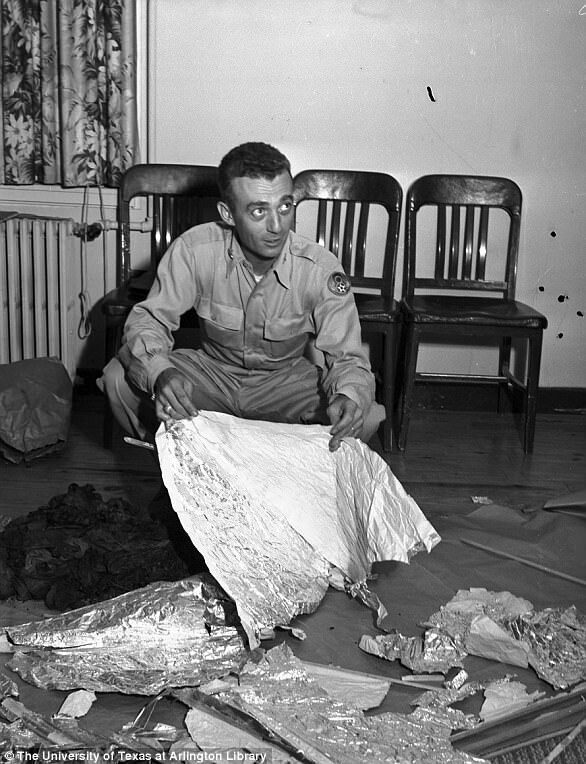 Deputy Sheriff Charles Fogus rushed to the scene of a crashed aircraft in New Mexico in an incident that still baffles experts and conspiracy theorists after 70 years. A new book claims Fogus said the UFO was around 100ft wide, and he said he saw soldiers removing dead ‘creatures’ from the scene. The deputy told Deanna Short, a private investigator from LA, there were between 300 and 400 soldiers on the scene when he arrived with Sheriff Jess Slaughter in July 1947. 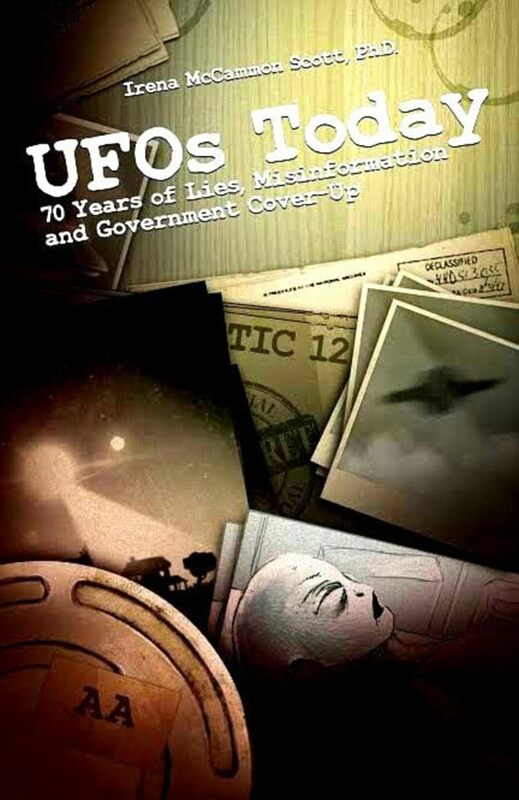 In transcripts from a 1999 interview seen by The Mirror, and used in new book UFOs TODAY – 70 Years of Lies, Misinformation and Government Cover-Up, he said: ‘They were hauling a big, a creature. ‘The bodies must have been 5 feet tall. I saw the legs and feet on some of them. They looked like our feet. And reflecting on what he had seen, Fogus said: ‘The Great Father didn’t just make this planet…. He made all of them. 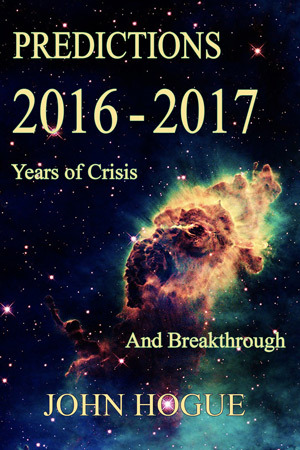 The book has been published by Philip Mantle, who is a former director of investigations for the British UFO Research Association. 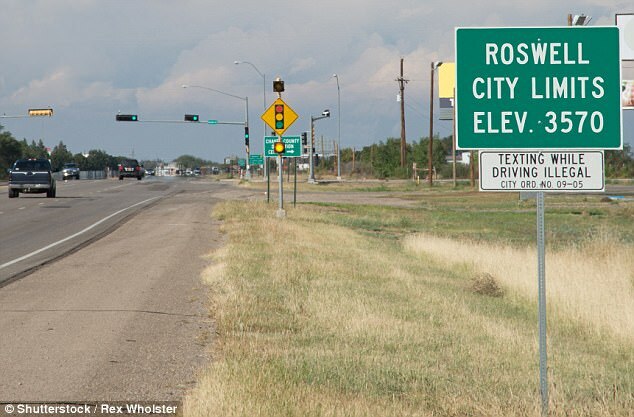 He told The Mirror: ‘It is rare that anyone new adds anything to the Roswell event from an eye witness point of view. 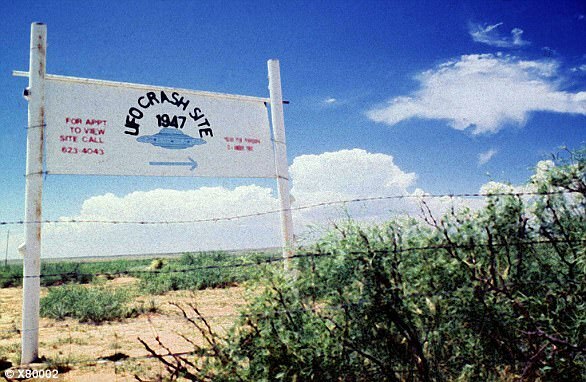 The US Military has consistently denied that Roswell was the site of an alien landing, releasing reports confirming that the object which crashed was a surveillance balloon. COULD BLURRY LETTER HELP TO SOLVE ROSWELL MYSTERY? Conspiracy theorists claim a blurry letter seen in a picture could be the key to solving the Roswell UFO mystery. 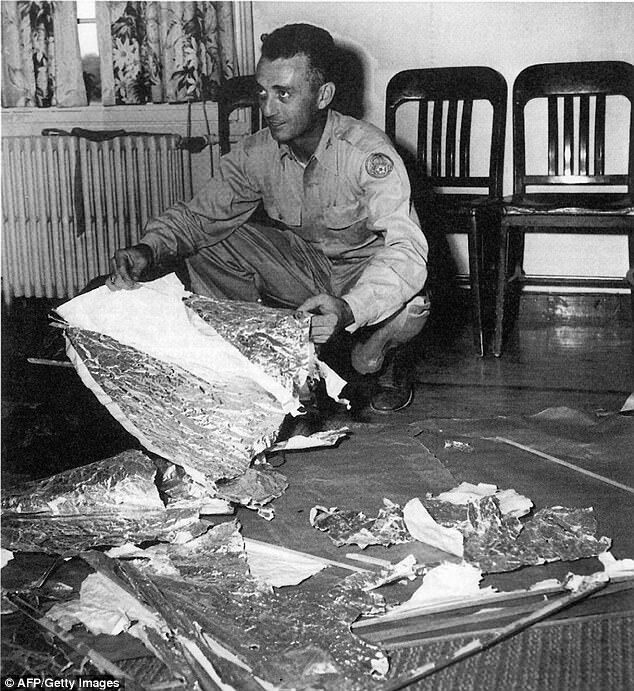 The photo shows Air Force General Roger Ramey crouching over debris which was claimed to be from the Roswell Crash. 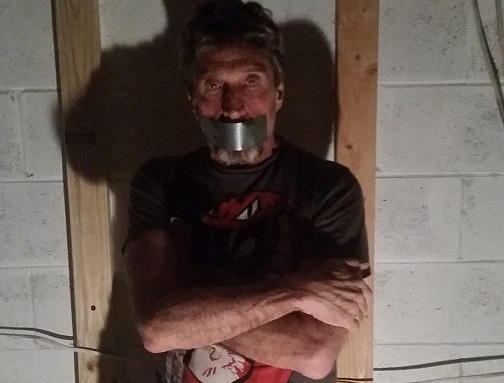 He appears to be holding a memo, which UFO researchers believe could be key in finally unlocking what happened in the New Mexico desert 70 years ago. 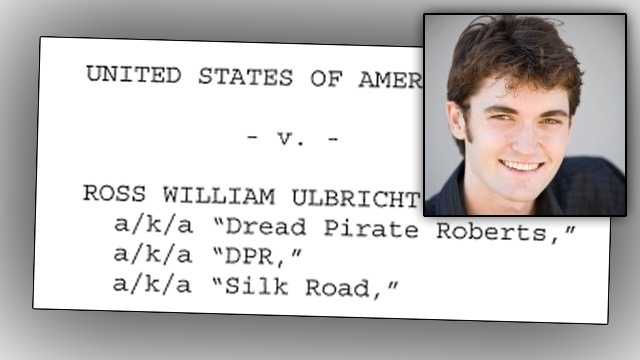 David Rudiak, a UFO researcher, has used modern technology to zoom on the letter. Alejandro Rojas, a presenter for Open Minds Radio, told Express Online: ‘He [David] says it is clear that there is a reference to a disc and believes he can also make out a portion of a sentence that reads “and the victims of the wreck”. ‘Rudiak says this proves that a disc-shaped craft was recovered. 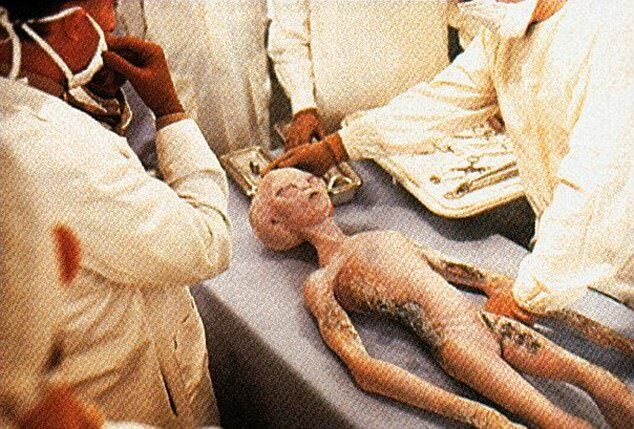 The 1947 Roswell incident is one of the most controversial UFO episodes in history. A weather balloon,used to monitor nuclear tests, allegedly crashed in the New Mexico desert. However in a stunning development the military announced the next day that a crashed flying saucer had instead been found. The statement was later retracted, but not before it helped fuel one of the biggest UFO conspiracy theories ever. Researchers claim that the military covered up the UFO crash with the later story about the weather balloon. 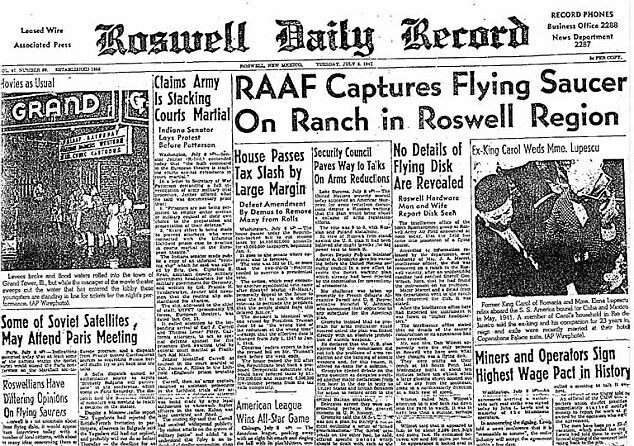 Today Roswell is a magnet for tourists and UFO theorists, all looking for their own clues. (1) US Economic Boom in 2017. (2) Boom ends in autumn with signs of an inflationary “Greater” Depression approaching in 2018. (3) Significant natural, political and economic disasters overtaking the United States after the Grand Eclipse of 21 August give the American people the opportunity to nationally redefine themselves and their dreams. The Great American Eclipse of 2017 will certainly have that impact on your president. He will be changed. (4) The “second” Cold War that Obama and the neocon, neo-liberals started in 2014, Trump ends in 2017. (5) US aid Russians defeating ISIS by summer of 2017. After that a new, full-scale war between Turkey and the Kurds is possible. (6) America, by not leading in Climate Change reduction, ends the American Century once and for all by 2019, never to be the superpower hegemon again. (7) As early as the end of 2017, or as late as a year later, Trump will about face on climate change. The economic crisis, personal losses from climate-change related disasters will make him a convert. If this change of mind happens in time, Trump has a chance to make the US a leading power again. Otherwise, if delayed into 2018-2019, the Chinese Century will be in full swing and the US will be a follower not a leader in future history’s key events from now on, its days of empire fading slowly in the next decade.